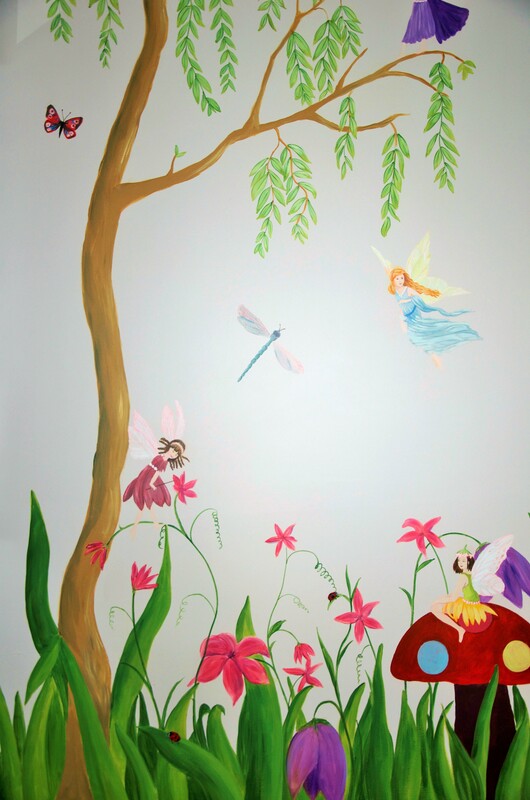 This Flower Fairy mural was commissioned for a girl’s bedroom. 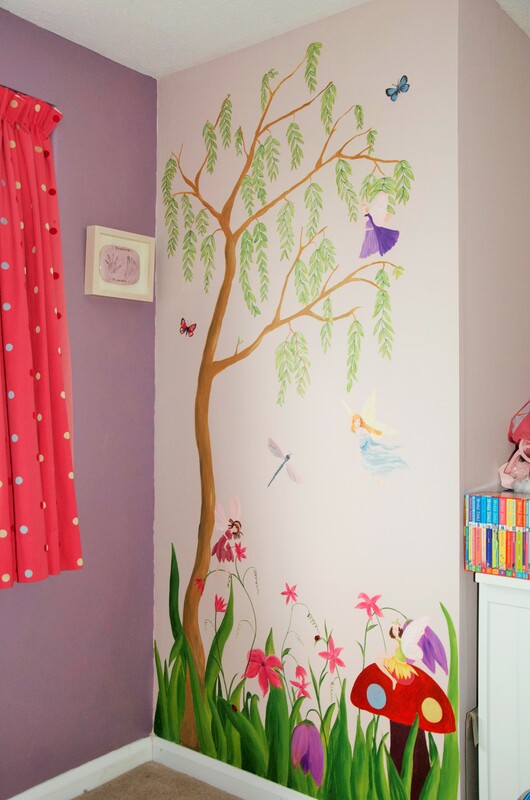 The proposed wall was narrow and so needed a design that would suit this space. I painted the plants along the bottom, and the tree up the side, to frame the mural. I used the original wall colour, a pale purple, as the background to help it tie in with the rest of the bedroom. 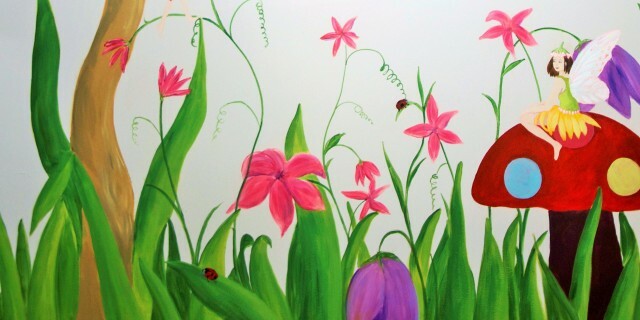 They wanted a mural that would be bright and cheerfu,l but also one that would remain popular as the the child grew. 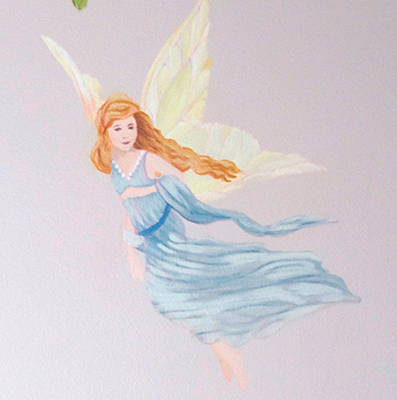 The fairies were painted in a style similar to that of the ‘Flower Fairies’ and the overall colour was bright and bold. Everyone was pleased with the final result!